Your credit score stays with you always. You can learn how to improve credit score, but it will take time. There is no quick fix, nor is there an automatic clear button. Your past, present, and future will determine your credit score. By taking a few consistent moves in the right direction, you can build your credit score over time. The first step for how to improve credit score is to understand what credit score is. Your credit score lets lenders know how reliable you will be for paying them back. Like test scores, they represent how effective you are at paying them back. The higher your score the more reliable and trustworthy you are to lenders and you will be able to take out loans more easily. The range of most credit scores is 301-850. Both FICO and the latest VantageScore version, as well as others use different categories within this range to determine how good your credit is. Keep in mind that these are not always true. The individual lenders get to use their own rules to determine how good your credit is for them. One lender may accept a score of 650 or higher, while another requires that you have a score of at least 750. On the other hand, they both may accept a score of 630 or better, but charge more interest if you have a score of 630 and less interest if you have a score of 750. Are your bills paid on time? This is huge. Any time that you pay late, have a bill sent to a collection agency, or declare bankruptcy, it is recorded as part of your credit history and will show on your report. The amount you owe is compared to your credit limits. If your debt is close or over your credit limit, it will negatively affect your score. A longer history of credit may have a better score. However, the longer your history the more timely payments and low balances you need to have. How recently have you applied for new credit? 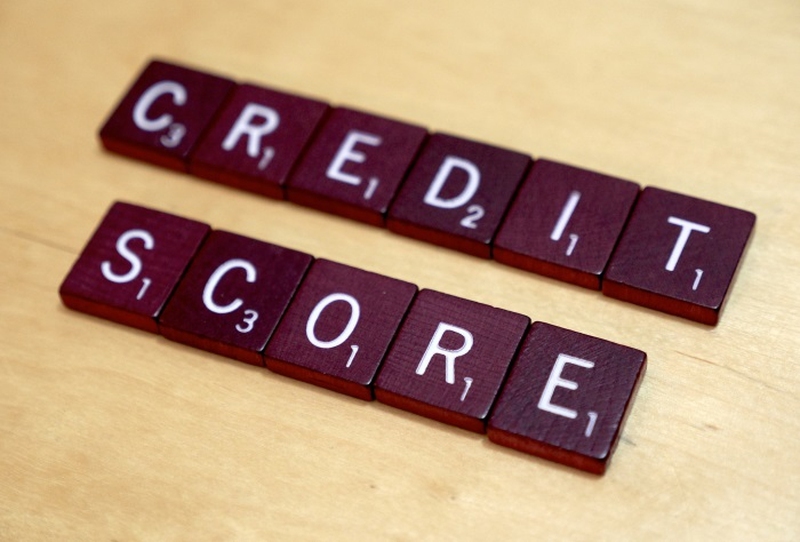 Your credit score may be negatively affected if you apply for too many new lines of credit. On the other hand, if you have requested your credit report or if creditors are monitoring your account and looking at credit reports, these incidences are not included in your credit history. What type of credit accounts do you have and how many? Having a mix of installment loans and credit cards can improve your score. However, having too many finance accounts or credit cards can have a negative effect. Credit scores are dependent upon what is reported in your credit history. It is very important that you check your credit report regularly for any discrepancies. Every 12 months you are entitled to one free report from each of the three major reporting companies. Look through these reports and dispute any errors to get them corrected. Your credit score may be lowered if you cancel a credit card. Instead, use your older cards only occasionally so that the creditor does not stop reporting. This will help keep your credit score in good standing. Remember, the longer your history, the better the score. Sometimes you may find that you only have one or two late payments. If this is the case, call or write the creditor to ask for a courtesy adjustment. If you are in good standing with the creditor, you may be able to have them bump up your credit or remove the late payment from your history. In terms of how to improve credit score, one thing you can do is to avoid jumping from one card to another. Your credit score looks better if you have long standing accounts. When you transfer your balance from one card to another, which does not hurt your score, do not close out the old account. You can raise your credit score quickly by making regular, timely payments. The first thing you should do is pay your cards on time to improve your credit score. The more late payments you have, the more unreliable you look. Show that you are stable by buying your home. This shows that you have a stable income, plus it can be cheaper than renting. It also shows that you plan on staying in one place for a long period of time. One other thing that you can do to show that you are stable is to get married. A married person will have better credit that a single person with similar credit histories. After you have determined your credit history, the next thing you should do is check the balance of your available credit. The aim is to keep it at approximately 30%. This means that if you have a $1000 credit limit, make sure that you have $300 available at all times. Having a lower amount of debt looks better than higher debt. Also, try to pay your bills before the due date to keep your balance of debt at a lower level.